I was invited by Guardian, the largest pharmacy, health and beauty retail chain in Malaysia to be the first to try on their Les Tentations Méditerranéennes Bath & Body Care range. It is an affordable, premium product line that could bring the benefits of Mediterranean beauty secrets within reach, at a fun-filled Mediterranean-themed event at Canvas, Damansara Perdana. The range allows consumers to indulge in the proven beauty culture and practice of the Mediterranean for luxurious yet affordable pampering in their daily beauty regimen. Why is it called as Mediterranean ? This is because the country is famed for the beauty of their people – clear skin, thick hair and a glow of good health that has been attributed to their strong beauty culture that harnesses the wealth of natural beauty secrets of botanicals available there. The Les Tentations Méditerranéennes Bath & Body Care range is ideal for fragrance layering starting with the shower cream for cleansing, the body scrub for exfoliating and the body products to seal in moisture, extend skin benefits and sustain a more intense, complex top-to-toe fragrance that will stay with you. 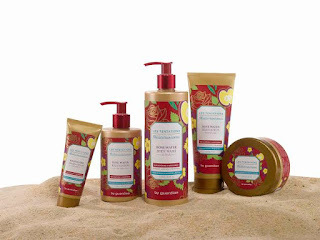 To celebrate the introduction of the Les Tentations Méditerranéennes Bath & Body Care Range, Guardian will be holding the ‘Greece Getaway’ contest with the main prize being a air tickets for two to Greece, worth more than RM10,000! There are also 20 consolation prizes of RM100 Guardian vouchers to be won. 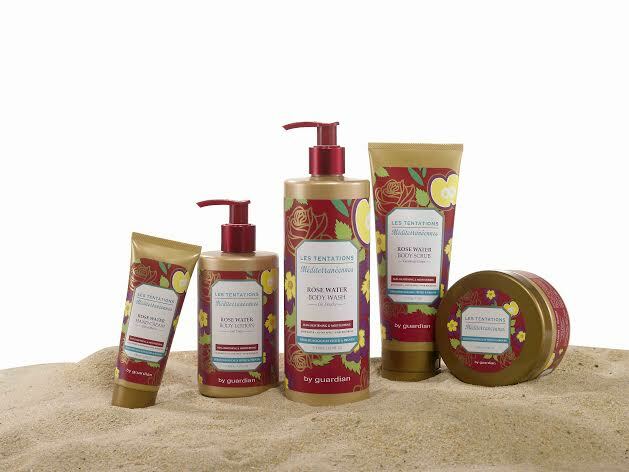 To participate and stand a chance to win, consumers need only purchase any product from the Les Tentations Méditerranéennes Bath & Body Care Range and log on to www.greecegetaway.com.my. The contest begins May 27th and will end on July 31st, 2015. Me and my fellow blogger friends had a great times there playing games, guessing and acting on it. My team which consist of of my blogger friends, Ella, Nannie, Sherry, Elana, Nazlan and other medias had won the game as a team. Yeah... So, if you want to win a Getaway or vouchers to shop at Guardian, join the contest now and you might go to Greece with your partner. Good luck to all my readers here and happy trying a brand new bath and body care by Guardian that will mades you think of Mediterranean, a romantic place to visit.